Approved a recommendation to the Synod Assembly that the 2017 Nebraska Synod budget be adopted. Appointed Dan Friedlund of Omaha to serve as the Nebraska Synod Treasurer for a four-year term. Approved a recommendation to the Synod Assembly that the proposed order of business and proposed rules of order be adopted. Recommended that Resolution 2016:1 is out of order. Resolution 2016:1 would discourage pastors from discouraging individual members from associating with Freemasonry. The Council’s recommendation is based on the principle that the subject matter is not for the Synod Assembly to decide. Recommended that Resolution 2016:2 be adopted. Resolution 2016:2 would encourage congregations to use the ELCA Social Statement on the Death Penalty as a resource for discussing the issue and encourage individual members to use the social statement as a guide in forming their own judgments on eliminating the death penalty in Nebraska. Recommended that Resolution 2016:4 be rejected. Resolution 2016:4 would ask the Nebraska Synod to repudiate the “doctrine of discovery” and its impact on Native American populations; acknowledge and repent of its complicity in the evils of colonialism in the Americas; and memorialize Churchwide for the development of strategy, funding and resources for ELCA Native American ministries. The Council’s recommendation is based on the principle that the Synod Assembly is not the appropriate body to fulfill the requests made by the resolution. Approved the creation of a Transitional Ministry Network for Nebraska Synod pastors engaged in transitional/interim ministry. Approved the recommended list of agencies and causes that may present their needs to Nebraska Synod congregations. Approved appointments to the Assembly Minutes Committee and the Resolutions, Reference and Counsel Committee. Approved a recommendation to the Synod Council that the 2015 audit be approved upon its receipts, conditional that the report is a clean report. Reauthorized the Nebraska Synod’s authorized worshipping communities. 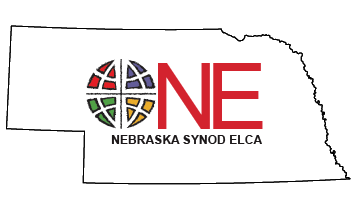 Authorized representatives of congregations under development and synodically-authorized worship communities to serve as voting members of the 2016 Nebraska Synod Assembly. Approved a recommendation to the Synod Assembly that the 2017 Compensation Guidelines be approved. Approved changes to constitutions and bylaws for 14 congregations. Approved the appointments of Jordan Rasmussen and Pastor Neal Anthony to the Nebraska Lutheran Campus Ministries Board of Directors. Approved the appointment of Christopher Tonniges to the Lutheran Family Services Board of Directors.